At some point in your life, you’re probably going to need some restorative dentistry. What is restorative dentistry? Fillings, crowns, bridges, dental implants…restorative dentistry refers to the treatments that are designed to repair damage, whether that damage is caused by decay, infection, or injury. When you have a cavity, root canal infection, or injury that leads to tooth loss, Cosmetic & Family Dentistry of Weatherford, Texas is here for you, offering a wide range of restorative treatments that can bring your smile back to life. 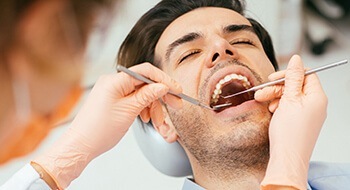 If you have a damaged tooth, an option for fixing the problem can be a dental crown, and one of the options for replacing missing teeth involves dental bridges. Because our office is interested in bringing together cosmetic and restorative dentistry to give you results that are both attractive and strong, we offer beautiful crown and bridge treatments to rehabilitate smiles while returning them to their stunning natural appearance. With porcelain crown and bridge dental restorations, Cosmetic & Family Dentistry of Weatherford offers you the most popular options modern dentistry provides. If you have a small cavity or a slightly damaged tooth, we may choose to fix it with a filling. Traditionally, fillings are made of a substance called amalgam, which is a combination of different metals including mercury. These created dark gray lines that stuck out in your smile, and they required a large amount of your tooth to be removed, which weakened its overall structure. With tooth-colored fillings, both of these problems are a thing of the past. They are made of a composite resin that bonds directly to your enamel, which allows your dentist to maintain more of your tooth’s natural structure. This will drastically increase the longevity of your restored tooth and may save you from having to get more treatments in the future. Plus, best of all, it can be specially shaded to match the rest of your smile and blend in seamlessly. The end result is a tooth that will look great and stand the test of time. 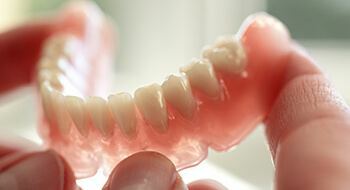 Dentures in some form or fashion have existed for hundreds of years. They’ve been made from wood and even animal teeth in the past, and dentistry has been coming up with new versions made from better materials for years. Today’s dentures are made from lightweight and attractive materials that have really improved their function and comfort. Cosmetic & Family Dentistry of Weatherford offers the latest in dentures and partials so that you can get the most satisfying results possible. When you have severe tooth pain or have noticed increased sensitivity in a tooth, it can be a sign of a very serious problem. A cracked tooth, a tooth with extensive decay, or an injured tooth may require root canal therapy to help save it from extraction and prevent complications. Root canal therapy from Cosmetic & Family Dentistry of Weatherford can dramatically improve your oral health and keep your smile intact. Sometimes, despite our best efforts, it may be necessary to remove one of your teeth. This may be because a tooth is so damaged that it can’t be restored, or a baby tooth needs to be removed to make room for an erupting permanent tooth. In any case, we’ll be able to gently remove the tooth so that it won’t cause any problems in the future. 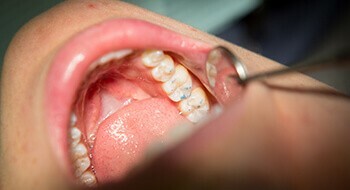 Thanks to modern dental techniques and local anesthetic, many patients feel almost nothing during their extraction.